The development of the Badhuisplein (square) creates an attractive connection between the village (Kerkstraat) and the boulevard. With hotels, restaurants, cafés, shops and dwellings. 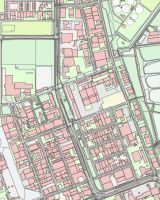 The municipality of Haarlem is looking for a building group at a self-built housing location of 470 m2 on the corner of the Stockholmstraat and the Engelandlaan. 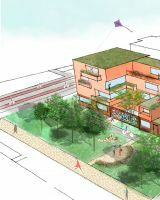 The building group will develop in collective private commissioning 6 to 8 dwellings on the terrain. On this location the Toekomstwijk (Futurequarter) Zwemmerslaan will be built. 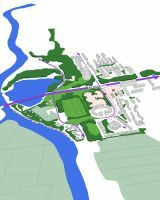 The terrain measures more than 2 hectares and the aim is to realise a sustainable residential district here. With objectives as green, circular, sustainable and innovative, we aim at a special and durable project. There is space for about 130 dwellings in the middle and higher segment. 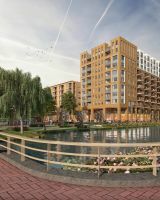 Self-built housing and demand-driven building are important projects. The Municipality of Haarlem is offering several plots of land for sale at the Waarderpolder business park with a view to facilitating the expansion of the business enterprises currently established here and/or the establishment of new businesses. There are numerous possibilities for each plot of land. A plot of land that corresponds to the potential buyer’s requirements will be sought in consultation with the potential buyer. It is located right on the Spaarne at the southern edge of the centre of the city in the Rozenprieel district. 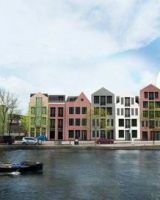 The plan includes the construction of approximately fifteen townhouses along the Spaarne and four apartments in the social sector. The existing building Koningstein must be demolished to make space for the current development. 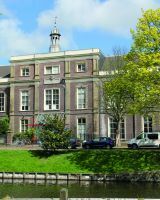 The Egelantier includes the former Elisabeth Hospital on the southern edge of Haarlem’s centre. The building dates from 1871, but also has various buildings from later periods. The total area is approximately 6,000 m2 and is located at the back of the public Egelantier Garden. The building is a national monument and is included in the Monuments Register of the RCE under number 19096. The complex is also in a conservation area. In addition to social functions, there is potential for hotels and apartments after renovation and restoration. The property forms part of the Heiliglanden de Kamp zoning plan, this zoning plan was revised in 2016, in which the aforementioned amendment authority (residential and hotel) will remain the starting point. The Fietsznfabriek is located on the river Spaarne on the eastern edge of the city of Haarlem in the ‘Scheepsmakerskwartier’. Houtmarkt 7 is a national monument. 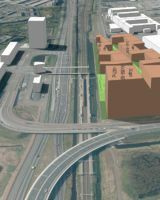 The complex is located near the access road to Haarlem city centre and in between the railway stations of Haarlem Centraal and Haarlem-Spaarnwoude. 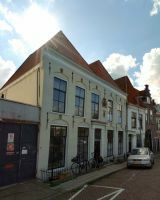 The new build on the Oostvest side shall be a key element in the Haarlem conservation area’s appearance. 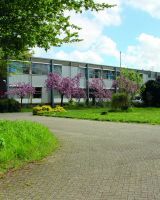 A development framework for the former school site at Korte Verspronckweg 7-9 has been drawn up but not yet confirmed. 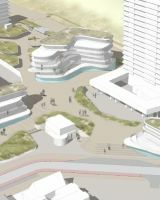 Development of the area will see it transformed from an educational site into a residential area. The development framework creates the preconditions to build a small, high-quality and relaxed residential environment at this location. 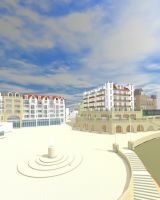 This is based on the complete demolition of the existing buildings. At present, parts of the area are leased on a five-year contract. Part of the school building is being used as an outbuilding by a primary school. At this time, it is not clear how long the school still needs the location, which is another obstacle to the redevelopment of the site.